Slightly misogynist title. Sorry. This is Mancookgood after all. Do I get extra credit for knowing what misogyny meant before the election? 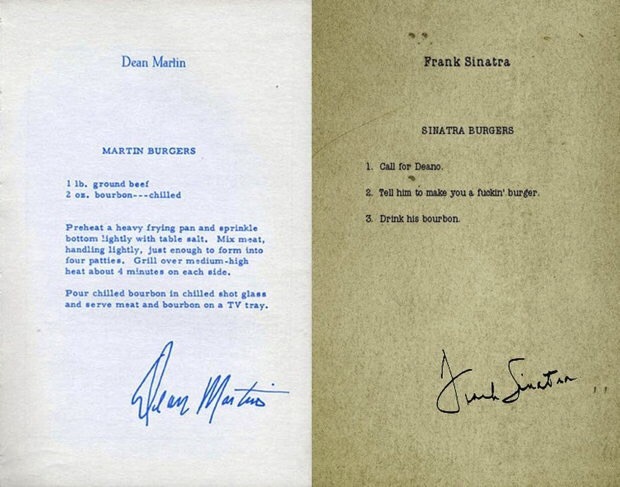 This burger is inspired by a legend from Dean Martin and Frank Sinatra. Apparently Dean was known for his burgers to the point of being asked to share his recipe. Frank, the old scamp, had to reply with his own recipe and hilarity ensued. So, I present an alternate to my mildly offensive title. Doesn’t roll off the tongue quite as well, does it? Well for most of the country grilling season is over. 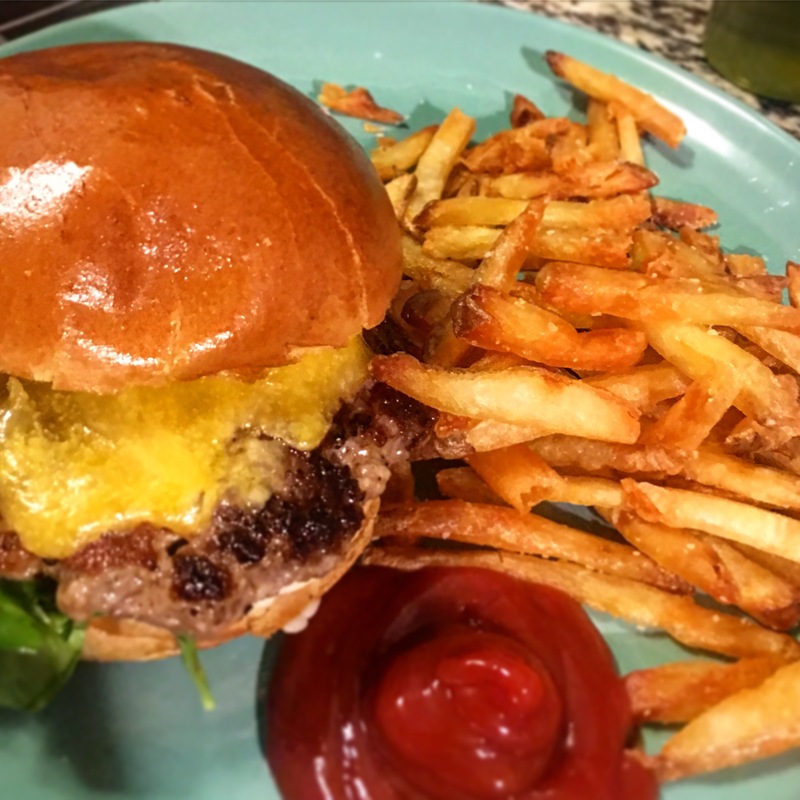 It’s time to heat up your cast iron skillet and make yourself a proper cheese burger. 4 hamburger buns ranging anywhere from cheap to brioche. Do not use something too bready or dense. First, open the beer and take a sip. Mix the meat just enough to combine the beef and pork. Do not over mix, it will make the meat tougher. Turn the stovetop to medium high. 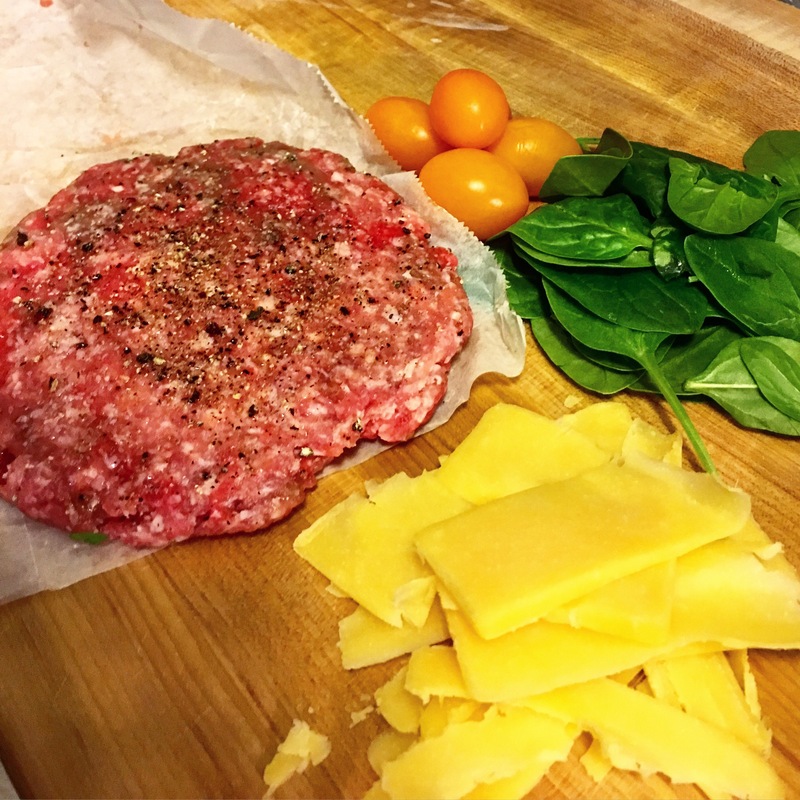 Let the pan heat up while you make patties, make them relatively thin and slightly larger than your bun. Assertively salt and pepper the patties on the up side. Place that side down into a sizzling hot skillet. Salt and pepper the up side of the patty. Place on a bun with your favorite condiments. If you use sliced tomato, please salt and pepper that tomato before eating. Eat your burger. Listen to Frank and Dean while drinking your beer. That sounds excellent. And the photo is nice as well.